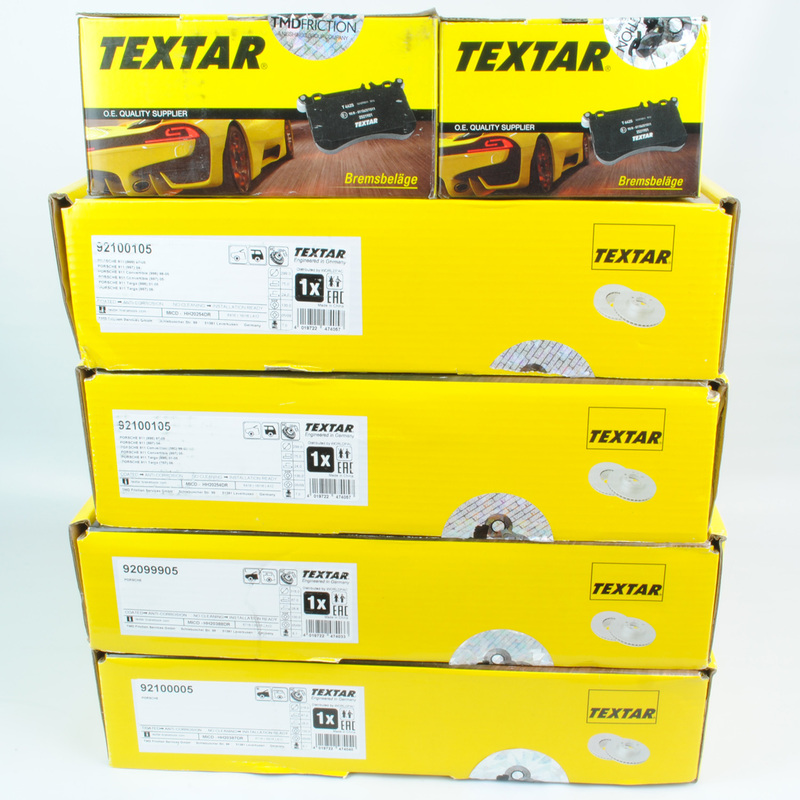 Set of Textar Cross Drilled and Vented brake rotors with Textar front and rear pads. 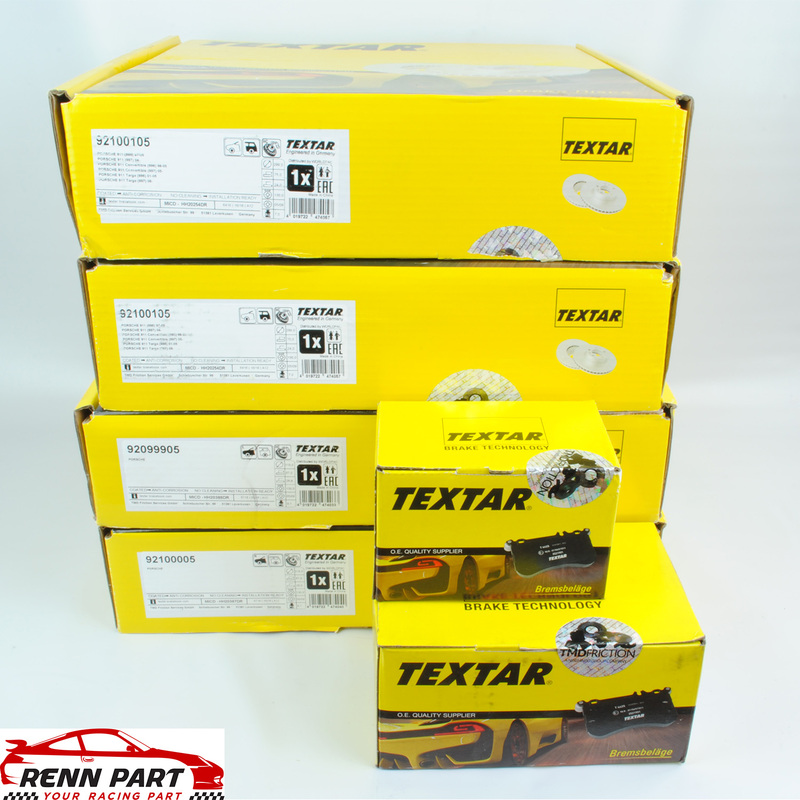 Textar is a OE manufacturer for Porsche. 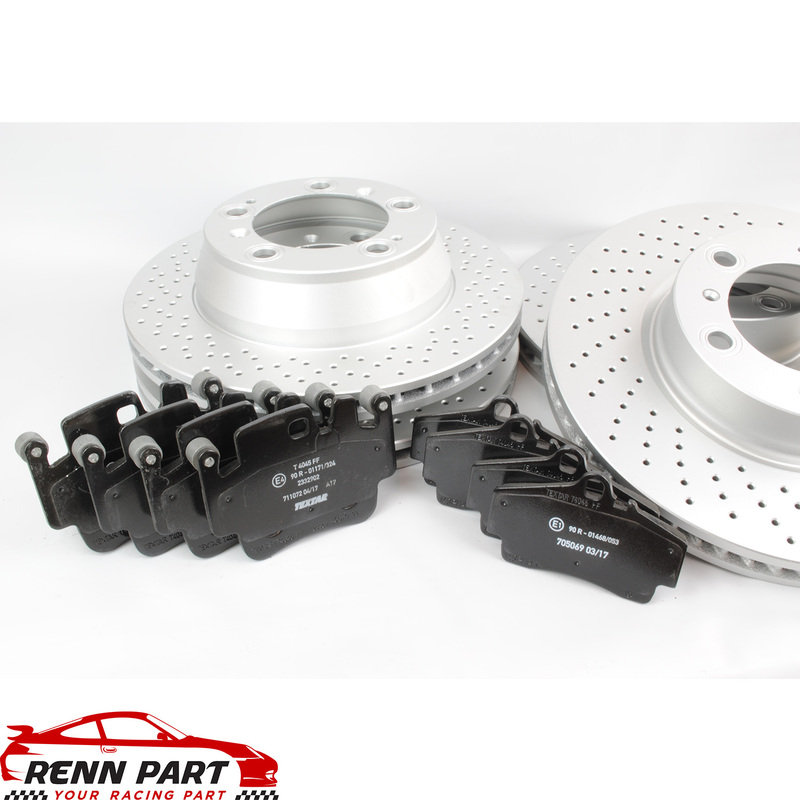 These pads and rotors are recommended for street use and spirited driving.